A lot of us have Facebook accounts where we share comments and pictures about our lives with Facebook friends. Sometimes those treasured pictures are uploaded directly to Facebook without saving copies. What happens then if we want to leave those pictures or our witty commentaries to our family once we pass away? Can we? 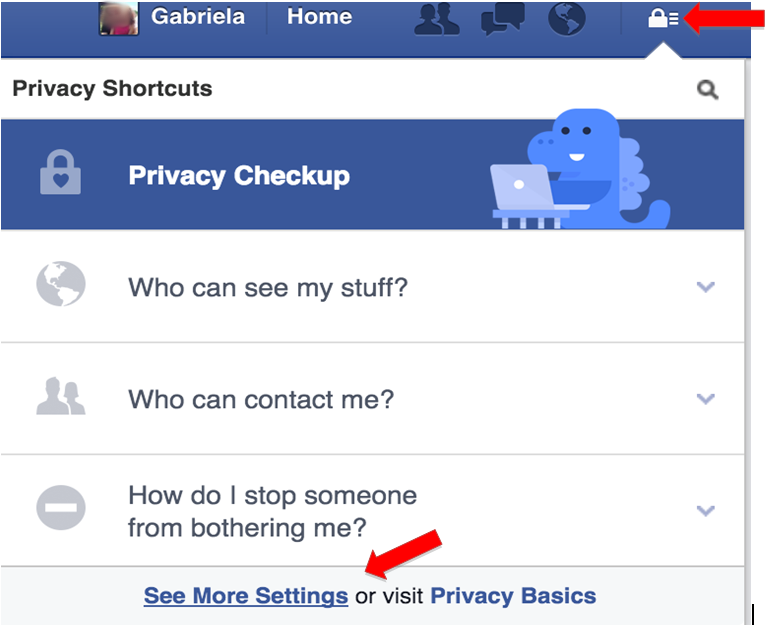 On the other hand, what can we do if we do not want to share our Facebook content with anyone after our death? Can we do something about that? Yes. Facebook has adopted the “Legacy Contact” which allows you to assign a legacy contact or delete your Facebook account upon your death. Your account will be memorialized and your legacy contact will be allowed to download an archive of photos and videos you uploaded, wall posts, profile and contact information, events, and your friend list. (For more information on “Memorialized Accounts” please visit : https://www.facebook.com/help/103897939701143.) The legacy contact will NOT have access to items synced but not posted. Access to those items must be granted using a will or other legal document. 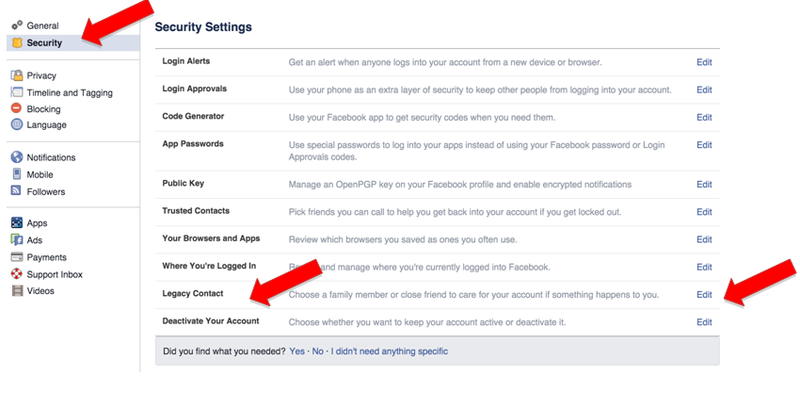 In the event that you do not want a Facebook account after you have passed away, Facebook provides you with an option for the account to be permanently deleted after you pass away. 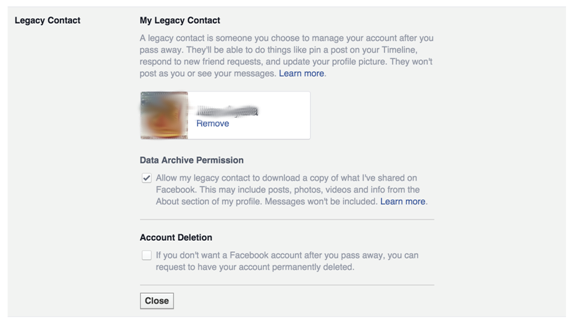 So, How Do I Set Up a Legacy Contact on Facebook? As you can see below, I have selected my legacy contact and given permission for data archive. 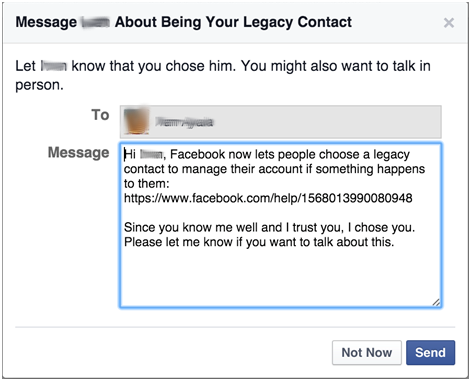 Finally: Facebook will prompt you to send a message to your Legacy Contact notifying them that they will be your Legacy Contact.